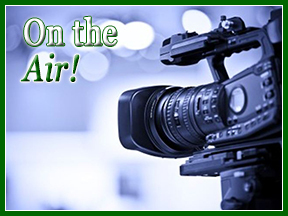 “You’re ok live on camera, right?” This simple question makes many uber-confident heads of school, principals, and executive directors shudder! Chances are, like it or not, you will be asked to do live interviews. Some might be the softball variety – requiring perhaps a few nice words as an honoree, some may be for local TV stations seeking color about Jewish holidays or your social action leadership program, while others may be interviews with reporters whose agendas are not clear-cut. We’ve all suffered through dinners featuring normally vivacious educators and leaders looking stiff and uncomfortable. Worse, we’ve seen articulate people deliver memorized words in drab monotones. Since you don’t want to be THAT person on camera, take some time to prepare! To learn more about compelling video marketing tools or any of my other day school marketing and development services, please feel free to send me an email or call me at 516.569.8070. Except for circumstances where you have no advance warning, it’s best to prepare by practicing your message and your presentation style. These tips from photographer/videographer Judah Harris should help. 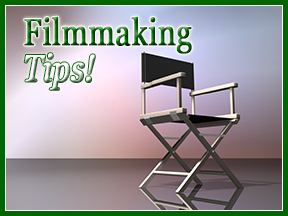 Be sure that you know, to the greatest extent possible, the intended purpose of the video, where it will be seen, and why you’re the person being asked to appear on camera. Think not only about what you want to say, but also – especially if this is a marketing message – what the viewers might want to hear. Connect the two as seamlessly as possible. Stick to your message, but consider your audience. For a more natural (and believable) presentation, DO NOT memorize your text. Of course, you need to remember select ideas and specific key words so that you remember to incorporate them. Don’t be afraid to stop talking and look directly into the camera. Pauses can be very effective. Let the interviewer lead the way. Refrain from answering before the question has been completed… even if you are sure you know exactly what the question is. Judah S. Harris is a photographer and filmmaker whose photography documenting Jewish life has been exhibited at the Jewish Museum and the Hebrew Union College-Jewish Institute of Religion Museum in New York City, Beth Hatefutsoth in Tel Aviv, and the Klutznick National Museum in Washington, D.C. To learn more, visit his website. There is a classic tale from the Talmud (Ta’anit page 23A), of Honi Ha-Me’agel, the circle maker, who came upon an old man planting a carob tree. Honi asked the man, “How long will it take for this tree to bear fruit?” The man replied, “Seventy years.” Honi then asked, “And do you think you will live another seventy years and eat the fruit of this tree?” The man answered, “Perhaps not. However, when I was born into this world, I found many carob trees planted by my father and grandfather. Just as they planted trees for me, I am planting trees for my children and grandchildren so they will be able to eat the fruit of these trees.” Trees help us focus on the next generation… on a meaningful future. On Tu b’Shevat (and every day) we applaud the Jewish educators who focus on the next generation day in and day out to ensure that our legacy continues mi’dor l’dor. I extend a personal mazal tov to our next generation: Bella! Of course… a hearty yashar koach to her parents and all her morot at Yeshiva Har Torah. Lag b’Omer is around the corner. I recall it as being a fun filled day – when the dress code – and the mood were relaxed. (Yes: we got to wear our sneakers all day.) This away from the classroom day always yields bright, sunny, smile-filled pictures. But, as we all know, pictures can just be there or they can engage viewers, evoke emotions, and tell compelling stories. 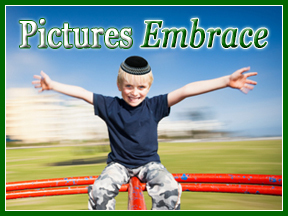 So, I thought that before you snap away, I would ask photographer and photo-essayist Judah S. Harris for some easy-to-implement tips guaranteed to add extra excitement, emotion and meaning to your Lag b’Omer photography. 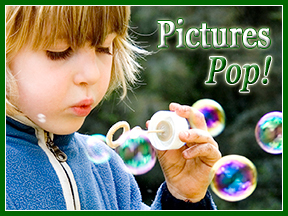 Here are some quick ideas that will help students, teachers, staff, and volunteers return to school with a collection of more meaningful imagery! 1. Show what’s happening – not just who’s there. Smiling faces are nice, but the activities are the real story. Strive for literary and not literal. Consider if someone looking at the photos later will be able to glean any unique details of the event. Ask your “photographers” to put their own stamp on the pictures. Perhaps they can choose a different viewpoint than the obvious, a different moment in an activity. Turn the camera or phone to vertical to vary the natural composition (we see horizontally). 2. Emotion – look for and capture students’ and teachers’ reactions and involvement. Four people tapping in unison on their smart phones won’t produce emotional photographs, but documenting engagement with Lag B’Omer activities will. Human drama presents itself all the time; we just need to know where to look for it. Then we need to wait (so try to be patient as the photo opportunity unfolds – and if it doesn’t move along to the next subject). To learn more about crafting compelling mission statements, creating memorable narratives, or any of my other day school marketing and development services, please feel free to send me an email or call me at 516.569.8070. 3. Aside from composition, look at light. Sunny is helpful, but not always. Dark shadows will hide the face and look unattractive. Cloudier is also fine, with less contrast, but make sure that the camera or phone can record in the dimmer light. Always hold the camera as steady as possible. Brace your arms as you hold the phone away from you, to avoid blurry images. When using a camera, brace it on the face for extra stabilization. Press the shutter slowly. 4. Tell a picture story. One photo can tell a story, but four, five, 10, or more can amplify it. We call it a “photo essay” and each image tells another aspect of the story, in a way that one image can’t convey. Look around for a subject that lends itself to this. Stories have a beginning, middle, and end. 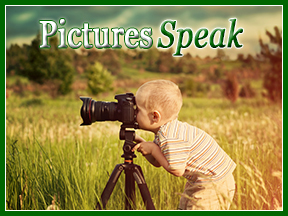 Photo essays can cover some or all of the sequences of a given subject. Experiment: try to do create something quick and intriguing during your Lag b’Omer outing. When back at school, ask students, teachers, volunteers, and staff to submit some of their better photos. In class, students can write short notes to accompany and explain their pictures and, equally valuable, their motivation for taking it. These can be used on your school website, to accompany press releases or in end of the year montages. Classroom teachers might be so thrilled with the results that they will want to involve the children in creating a montage just for their class. Judah S. Harris is an accomplished photojournalist and fine art photographer. His photo essays have been published in The New York Times, The Los Angeles Times, New York Newsday, and Country Living Magazine. Judah’s photography documenting Jewish life has been exhibited at the Jewish Museum and the Hebrew Union College-Jewish Institute of Religion Museum in New York City, Beth Hatefutsoth in Tel Aviv, and the Klutznick National Museum in Washington, D.C. To learn more, visit his website or to explore Judah’s evocative photo essay about the educational process, click here. Mishenichnas Adar! Even though we celebrate Purim in Adar II, we’ve certainly had Purim and simcha on our minds for some time. Other than all the fun and calories, Purim makes me think of two themes: overcoming obstacles and masks/hiding. Sometimes, the obstacle we face is actually the mask we wear. Certainly, we all know the importance of “putting on a good face.” But when the school day, or term, is over – it’s important to shed the mask and look in the mirror. If the public image you portray is not in keeping with the school you run, it may be time to make some changes. Some schools profess to be pluralistic, but they really aren’t. One school I worked with wanted to be both a mesivta and a college prep program but their college advisor didn’t know the deadlines for the SAT. Others proclaim that parents are their partners but don’t really know that more than half the parent body not only feels disenfranchised but publicizes this discontent to present and potential parents. 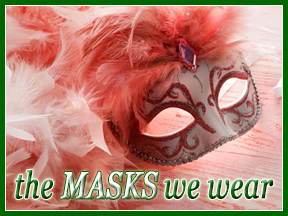 Should your masks need a re-haul or just some tweaking, please reach out to me. Feel free to send me an email or call me at 516.569.8070. 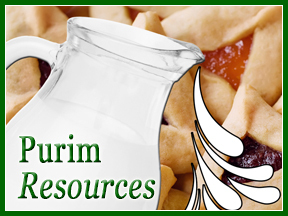 Purim Resources: Many wonderful Purim resources are available to you at no cost. Gateways is a Jewish Education site which features several Purim resources specifically designed for children with special needs and educational challenges. The Jewish Agency for Israel offers a comprehensive menu of resources including activities, history and geography, feminist perspectives, a summary of specific Purim customs practiced in different countries, and innovative educational activities. The National Library of Israel’s Purim resource pack contains historical gems from the time of the British mandate – Purim celebrations, pageants, discounted railway tickets to encourage attendance at holiday festivities, and a somber cancellation of a Purim party due to the Warsaw Uprising. It also features personal insights from a collection of letters home from Jerusalem and activity suggestions. While digesting this information, I thought about the teacher’s time management brilliance. After all, those haggadot, afikoman bags, Kiddush cups, jumping frogs, baby Moshe baskets, and matzah covers do not rain down from the shamayim like man! The multitude of projects is only one part of any kindergarten teacher’s pre-Pesach to-do list. Teaching the Exodus narrative and the story of nation building, on a kindergarten level, takes dedication, creativity, and time! As you look ahead to Tu b’Shevat, Purim, and Pesach – I wish you a calendar full of dynamic learning experiences. Should you wish to discuss ways to plan effective, creative, marketing calendars – or even a pitch or two, please feel free to send me an email or call me at 516.569.8070. Which leads me to two ideas to share. 1. 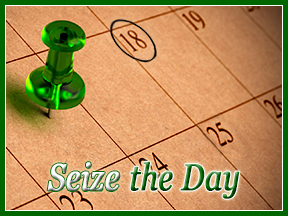 We think in terms of the calendar but how often do we seize the opportunity to do April’s work in January? How do you shake up your marketing messages so they don’t get stale? What do you do about recruitment in November? What about hakarat ha tov – not around Thanksgiving but in February? If you are the only school in town you don’t want to bore editors. If you are one of four local day schools pitching the same reporters, you need to pitch creatively and differently. Consistent marketing should never be boring! 2. Life-skills: Your parents want to know that their children will be ready to forge their way in the world. 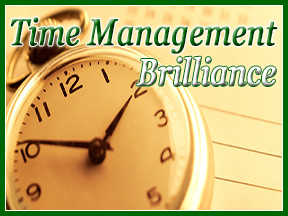 Stellar time management skills are crucial. And… all the apps in the world can’t teach them! 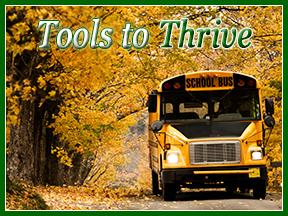 I will never forget the very sad day when – after driving a car pool in which young ladies claimed to have studied nine, ten, and even twelve hours for a Navi quiz – I asked a school administrator to help them master time management and study skills. He showed me an impressive age-appropriate time management workbook and said, “We don’t have time.” One super-effective marketing theme – that can include several different narratives – can be pitching your school as one that teaches students critical life skills. Think about it – if you have time! Where are all the Morot? Recently I attended a Jewish communal leadership seminar where participants spent 15 minutes creating mission statements. The statement that impressed me the most was written by a young educator who not only crafted a clear, compelling mission but also articulated HOW he aimed to achieve it – within the 25-word limit! 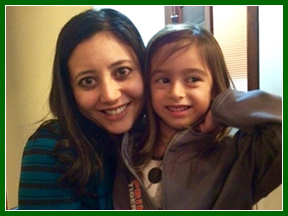 Last week my favorite five-year-old, Bella, spent shabbat with her family at her parents’ college alma mater! 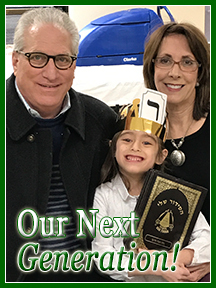 She enjoyed celebrating the rabbi and rebbetzin‘s son’s bar mitzvah and was awed by college life. How do the students know when to leave the gym? Do they forget to go to class because they are on the treadmill? Who tells them when to go to sleep? What happens if they wake up late? If teenagers aren’t grown-ups, why don’t they need to have their grown-ups with them? In the dining room, in absolute astonishment: where are all the morot? Ultimately the answers to these questions are just as important to your parents as those about smart boards, collaborative learning, Hebrew language immersion, and SAT scores. Back to the mission statement: WHERE are you going? HOW are you getting there? How does a five-year-old who needs to have a “grown-up” in close proximity at all times become a self-actualized young adult who gets to minyan daily, submits work on time, makes healthy diet and exercise choices, enjoys a robust schedule of extra curricular activities AND balances all of those elegantly? Ultimately, how does that kindergartener choose friends, a career path, and a life-mate wisely? If you can tell your parents HOW you will prepare their children to thrive as dedicated Jewish adults on college campuses – and AFTER – you will have created one of the many compelling narratives you need! To learn more about crafting compelling mission statements, creating memorable narratives, or any of my other cost-effective day school marketing and developing services, please feel free to send me an email or call me at 516.569.8070.